A crisp white shirt tucked in Levis jeans, paired with black brogues and sleek watch with elegant dial absolutely complimenting its rose gold detailing. Accessories can make or break your look and it completely depends on how you style it. Believe me or not, people notice the detailing. Even if there are many elements of style, small things make a huge difference. A watch is not just an accessory, it is an expression of your personality. You aren't just donning a timepiece but making a statement to the world about what kind of person you are. Styling a watch depends on your taste and comfort. 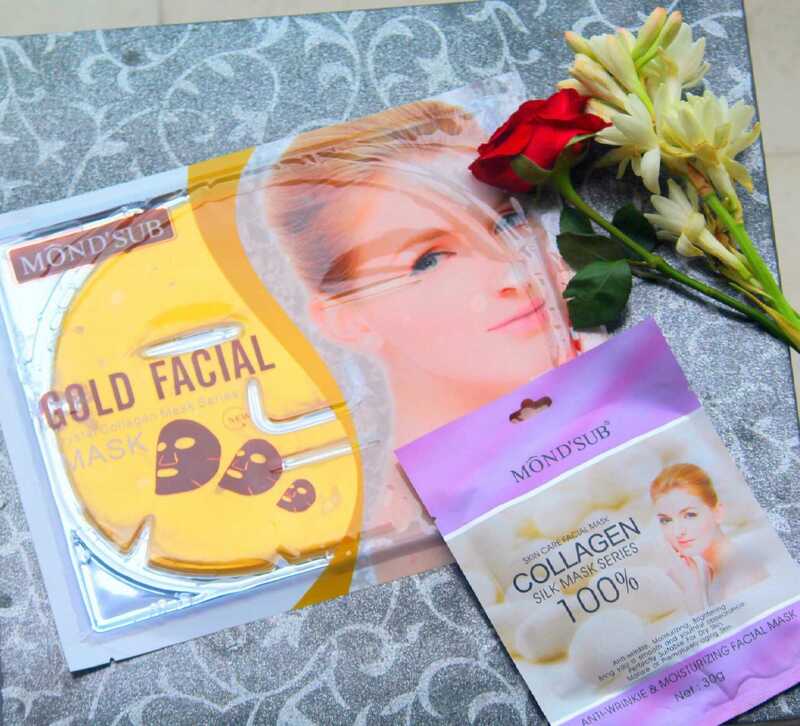 The most important factor is that your metals should match. Styling silver accessories with a gold strap watch would be a failed styling . Leather, on the other hand, need to match your outfit, Black leather strap with brown shoes would not help you make a style statement. I am crazy watch lover who doesn't step out without a watch on my wrist. 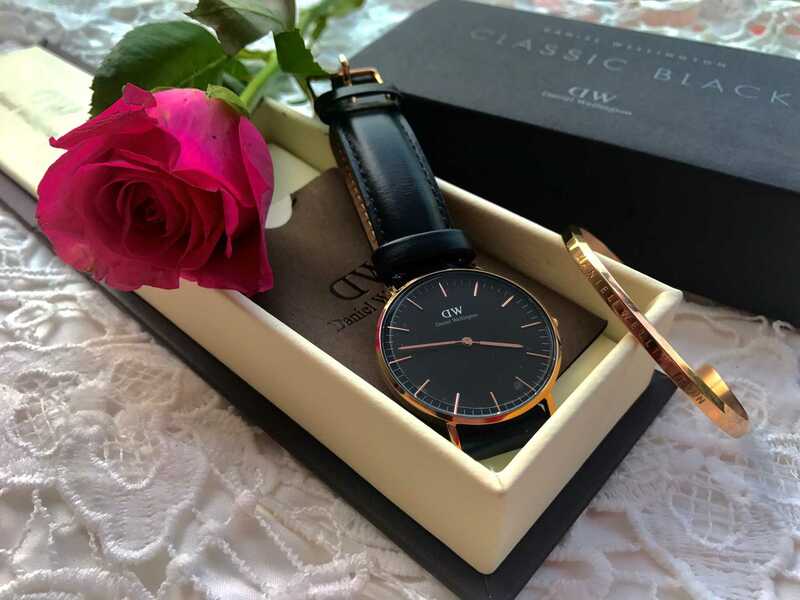 It has been a while I am using this Classic Black Daniel Wellington watch and trust me I still can't get over it. 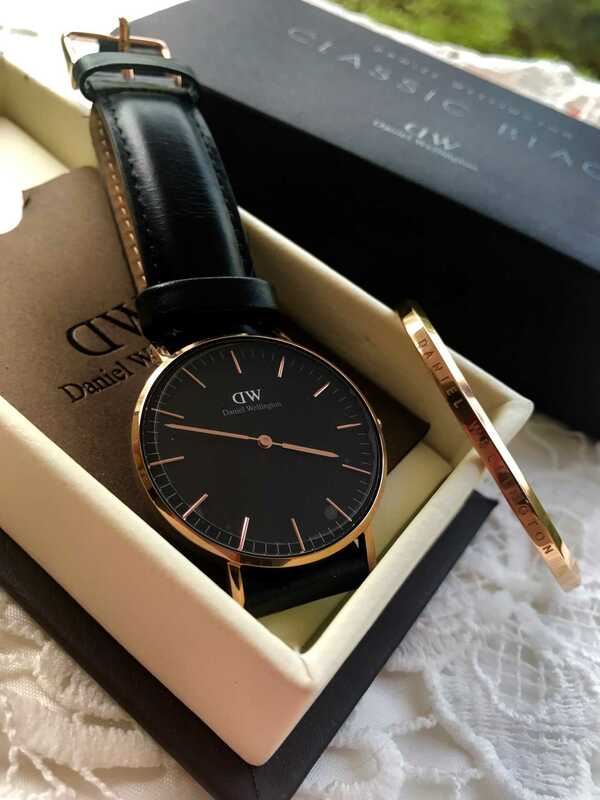 Daniel Wellington has breathtaking collection with a pure illustration of elegance and sophistication. Black is my happy colour and I was sold for this 36mm Classic Black Sheffield, the moment I saw it. 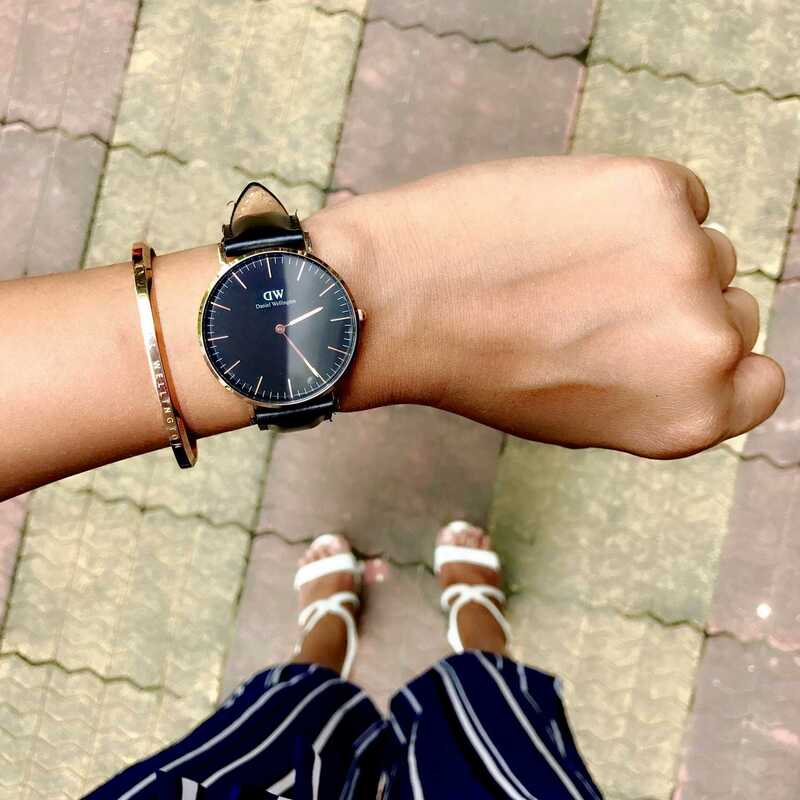 It's sleek and polished black dial with rose gold case and the black leather strap does a complete justice to its name Classic Black Sheffield. Generally leather strap watches are thought to be paired with formal outfits for that perfect look. But this is not the case with this black beauty. It looks elegant with all kinds of looks from formal to casual. I styled this gorgeous timepiece with a date or party look breaking all the stereotypes of styling a leather watch. As it is a black watch, I decided to pair a rich red colour. 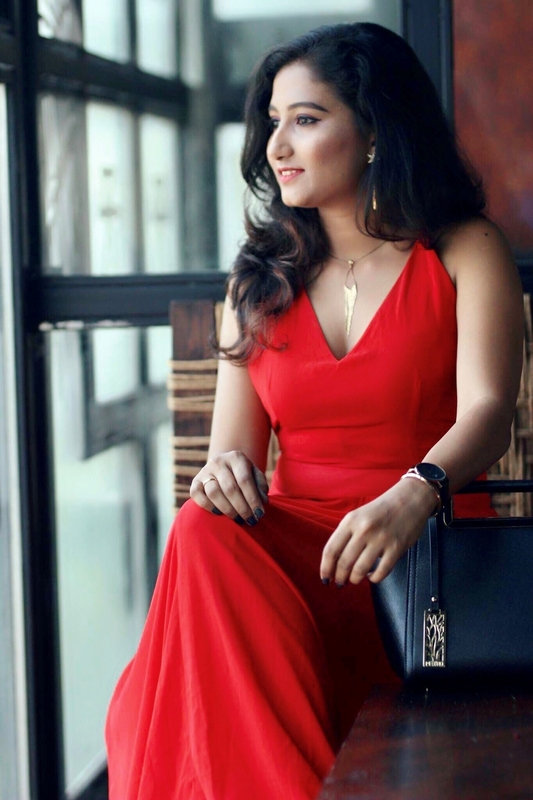 I went for this glamorous dress from Shein, which is my favorite out of all their collection. 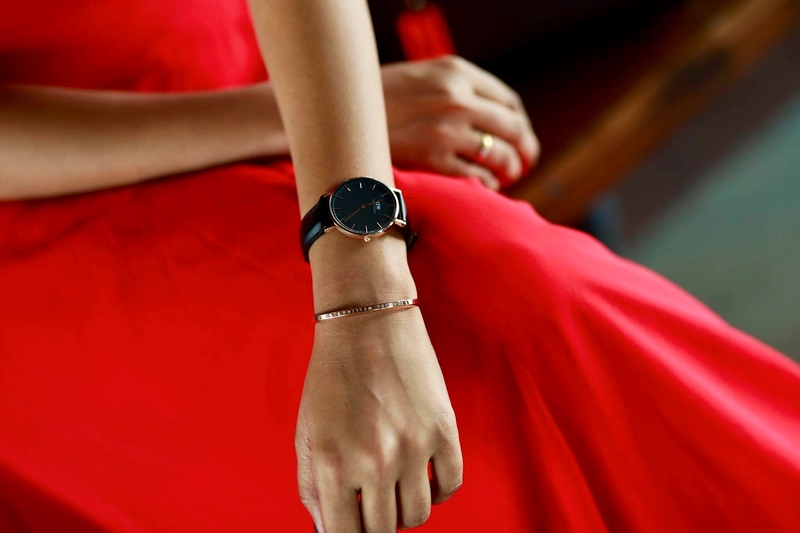 As you all know red and black can never go wrong, this Black DW watch helped to amp up the sophistication of the look. I am absolutely in awe with this rose gold cuff that came in with this watch. Daniel Wellington definitely has a statement collection for your outfit and to get perfect taste for every occasion. Check out their collection here.